Remember how helpful and supportive my mom was with my whole eucalyptus-magnolia confusion? Well, she totally redeemed herself in my quest to find crab apples. Yay, mom! When I was in Madison, Wisconsin, I had a chance to go to their farmers market, which, may I say, WOW. Hundreds of vendors, beautifully organized, hot coffee at the ready, cheese and other items for sampling, hot food carts at key points around the perimeter, good company on the stroll around the square... it's an incredible market, and I'm totally jealous. On my walk from the hotel to the market early that cool and drizzly Saturday morning, my mind wandered to the tasks ahead of me that week both for work and for this blog, and I thought: It's October, I bet someone will have crab apples. My flight was in just a few hours, so I figured I'd buy some, stash them in my suitcase, and hope they survived the trip home. But I didn't know how many crab apples I needed; couldn't remember if I needed one pound, four pounds, eight bushels, twelve tons, or just three wee apples. 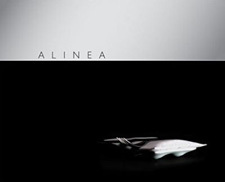 My parents were traveling, so I couldn't call them to ask them to check their copy of the Alinea cookbook. My neighbor was minivans-deep in her kids' soccer practices, so I couldn't have her run across the street to my house and look it up for me. Just before putting out an APB on Twitter, I texted my friend, Brad, who I knew would have his copy of the book nearby. Of course, my text message woke him up (because it was 7 o'clock on a Saturday morning, and man, that was jerky of me to call so dang early), but he quite gamely looked it up, and texted back: 2 lbs. Turned out no one at the market had crab apples, so I woke up Brad for no reason. Whoopsie. On to plan B.
I was going back to Pennsylvania to babysit my nephew that next weekend, so I called my mom a day or so beforehand to see if 1) the crab apple tree in our old house's backyard was still there, 40 years later; 2) there was anyone in town who had a crab apple tree I could pick from; or 3) there was still a crab apple tree at the orchard our uncle used to own. She told me there was a crab apple tree on the wooded property behind their house (I hadn't known about that one! ), but that the deer had already gotten to it, so that was a no go. She didn't know if the crab apple tree at our old house was still there, so, she said she'd check over at the orchard, and let me know. As I was driving up their way that next Saturday morning, she called to say that there was, indeed, still a crab apple tree at the orchard, and that the woman she spoke to there said I was more than welcome to come by and pick whatever I wanted. So I did. Just a mile or two from my parents' house, is Forge Hill Orchards, which used to belong to my great uncle. I have such fond and vivid memories of this place. Smells. Sounds. Watching my grandfather and cousins help the crew sort and pick out the bad apples on the conveyor belt. Feeling the fuzz on a fresh-picked peach. Eating nectarines, and enjoying the juice dribbling down my chin. Begging my uncle for a nickel out of the cash register so I could buy a bottle of Nehi grape soda (in a glass bottle) from the soda machine behind the cider pressing barn. Watching cider get pressed, and holding a cup under the spout to taste it before it was pasteurized. Yes, that's Three Mile Island off in the distance. Lots of memories there, too, but for another time. Many, many fall days when I was a kid, we'd rush home after school, pile into the car, and go to the orchard to pick apples, buy pears, or just stop by to see what they were working on. I remember not being a very productive apple picker. I more enjoyed climbing the tree, finding the perfect limb -- way high up, or so it seemed at the time -- to sit on and daydream, and picking one apple to eat while everyone else filled their baskets. Turning off the main road onto the farm lane back to the orchard used to have such a distinct sound when the road was still gravel. It's paved now. That bums me out. I stopped part of the way down the lane and, for the first time, realized how big this orchard is. I mean, it's not a huge, bajillion-acre commercial mass-production orchard, but for our area, it's significant. Peaches, nectarines, pears, chestnuts, apples, plums, strawberries, chestnuts, and fruits I'm sure I'm forgetting... as far as the eye can see. But I wanted crab apples. Just two pounds of crab apples. I poked my head into the little orchard store to say hello before finding my crab apple tree. I made my way down a small hill past the old cider-pressing barn and farmhouse, toward the picnic pavilion and pond where we'd had cookouts with my mom's cousins in the summer, and standing there just before the pavilion was a crab apple tree. Without realizing I was doing it until after I'd done it, I reached up and touched my right cheek -- I swear, I could feel the sting of that one hard, little crab apple hitting me smack in the face when I was 10 and my brother was 8, and his baseball-throwing (and crab apple-throwing) arm was a force to be reckoned with. I stood under that tree and just breathed in. Just fifty feet away, the orchard workers were burning wood in a large, shallow burn barrel to generate enough smoke to help keep bugs away. Twenty feet away in the other direction? A small pond with a slightly murky smell, but familiar nonetheless. I think the rowboat turned upside-down at the water's edge is the same one we'd use to ride out into the middle of the pond after the sun had set to listen for that distinct bullfrog crrrrroooooooooooooaaaaaaaaaaaak. Smoke, drying grass, water, apples, and now, under this tree, the smell of crab apples. When they're blossoming, they smell ever so sweet and floral. But when the fruit is ripe, they have their own distinct smell. A little like feet, and a little sweet like an overripe grape, with a hint of spice and a hint of green. Earthy. Sharp. Unusual. I had my half-peck basket in the crook of my left arm, and used my right hand to pick. I could've stayed there for hours. The sun was shining, the air was slightly smoky and crisp and cool, there was an occasional breeze, and I could almost taste the hot dogs my cousins and I ate and the marshmallows we roasted not far from this tree those many, many Indian summers ago. I picked and I picked, and wondered, why am I remembering picnic food? I should be remembering what crab apples taste like, and it dawned on me: I'd never eaten a crab apple. They always seemed so ugly and wormy. Great as weapons (my brother and I played out our love for each other with fruit violence apparently, because my only memories of crab apples seem to be getting hit by them, or winging them at someone hard enough to leave a red mark and a lump on their arm), but I had no idea what they tasted like. Sure, I'd read about them and could imagine by their size and shape that they were sour, but I needed to know for myself. I took one of the ripest-looking ones out of the basket and rubbed it on my shirt to clean and polish it. Shiny, half-red/half-yellow, slightly larger than a golf ball. I took a small bite. Chalky, sour, sharp. Slightly woody. Tough, not crunchy, and really, really tart. Maybe a tiny note of sweet for the first 0.00000000000000000000001 seconds of the bite. A clean, pointed nose-feel that went all the way up into my sinuses and out through my tear ducts. Bite-y but not acidic or vinegary. Weird, but not bad. I couldn't wait to see how this sharp, pointy-tasting, dense and chalk-like little fruit was going to be transformed into a tasty (I hoped) sorbet, complemented by a pepper tuile, eucalyptus pudding, olive oil jam, onion jam, and white cheddar sauce. So, I finished filling my basket, hopped in the car, and listened to the Avett Brothers as made my way back out the farm lane and away from the orchard, fiercely missing the dust cloud the old gravel road used to churn up in the rearview mirror. Stupid progress. Stupid pavement. I've made the dish, and will post it on Monday. But now, just an hour or so ago as I stood in line at the Whole Foods in Silver Spring, the woman in front of me put a small bag of crab apples (who knew Whole Foods carried crab apples?) on the conveyor belt and said to her daughter, "I don't know what we're gonna do with these, but we'll figure something out." She turned and smiled at me as she continued to move things from her cart to the conveyor belt. I smiled right back and said, "You're buying crab apples? I just made crab apple sorbet. Wanna know how?" She smiled again, much bigger this time, and said, "I would love to. I just saw these and we'd never eaten them before and wondered what they were like. It wasn't until you just now asked me about them that I realized I had no clue what to do with them." So, I hand-wrote on the back of an envelope she'd dug out of her bag what I hope were good, simple instructions for the sorbet... or at least instructions that will work for her, in her kitchen. I hope she finds as much delight in eating those crab apples -- in whatever form they take -- as I did in finding mine. I stand at the ready. I had a great time at the market--sorry we couldn't get you the crab apple hook-up. Although, it'd be a shame if you hadn't been able to experience the orchard like you did. A wonderful little post. In our old neighborhood one of our neighbors had two crab apple trees in his front yard. After watching them rot in the grass the first year I asked if I could pick them the next year. Poor guy was completely confused as to WHY I'd want to do it, but said to go right ahead. I used them to make about a million pints of the best apple jelly you ever tasted. They are so tart that they hold up well to all the sugar in a traditional jelly recipe without being overpowered. They're also even more chock full of natural pectin than standard apples. This is such as wonderful story, I enjoyed reading this post immensely! I adore your reminiscence of your childhood. I also did not know that the farmers market in Madison was so large. I hope to visit it someday. I love crab apples. I like to make a relish with it w/ mint, shallots, honey, and apple cider vinegar for seafood. That's a darling orchard. Way to get your hands in there, girl. So did I. This was a great read, really enjoyable, and so evocative of a country childhood. A perfect, homey post for crabapples, which seem so...homey! And how synchronistic (sp?) with the woman in line with crabapples, wow. They have surfaced the road to the farm halfway up, and we both hate, hate, hate it. At least the last half is still gravel. Am looking forward to the recipe. What gorgeous photos. My geo area just doesn't cut it in comparison. Lovely post, as well. Thanks for sharing a behind-the-scenes experience. I LOVE crabapples. LOVE LOVE LOVE. At least, in Michigan, in American Spoon crabapple butter, pate de fruits candy squares, and sorbetto - so amazingly good. They are chalky and maybe tannic but aromatic and wonderful too. And I'm disappointed every single time I'm in Northern Michigan and American Spoon doesn't have their crabapple sorbetto for sale. Maybe I'm the only one who loved it... but oh, I loved it. What a sweet story. Thanks for sharing your trip down memory lane. I do love crabapple trees. I don't know that I've ever had one. Sad. Growing up in WY we had a crab apple tree in our back yard. We always ate the apples in the fall while playing outside. My father also did his fair share of canning crab apple jelly. It's the best jelly I've ever had. I miss the jelly and even just the crab apples. They hold great memories for me. I hope you enjoyed them! Loved the post, and also wanted to say thanks for informing me that crabapples truly are edible. Growing up in MI, my best childhood friend's mother always told us not to eat the crabapples as they were deadly poisonous. Until now I'd never read/heard anything to the contrary. Gonna have to try this one! Love hearing about your memories. Love that you gave the sorbet recipe to that woman at Whole Foods. Very cool post.